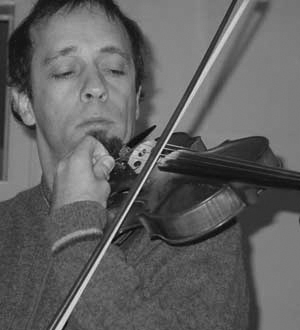 He has been playing the violin for 30 years and in that time has played all genres of music ranging from contemporary music to free jazz and improvised music, live and in the studio.His main interest shifted towards contemporary improvised and composed music. The relationship with his instruments is focused in sonic and textural elements. 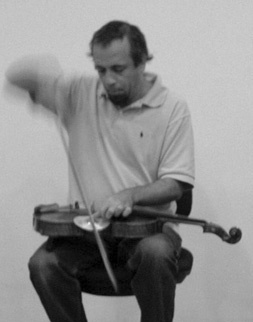 Electronic music was an early influence on his approach to violin playing, which challenges traditional romantic concepts of the violin/viola through use of preparations and micro tuning. Active in different settings on the Portuguese scene for free improvised music, both as a collaborator and in leading his own groups. Music for Dance, Cinema, Video and Performance. Has created the record label Creative Sources Recordings in 1999, which mainly concentrates on releasing experimental and electro-acoustic music. 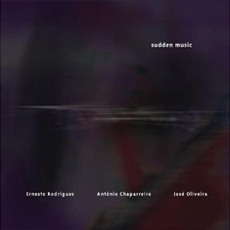 Ernesto Rodrigues’ music results of two of his personal passions: free jazz and contemporary “classical” music with a specific focusing on post-serialism. And it bursts out of a cause embraced in an almost militant way: improvisation. 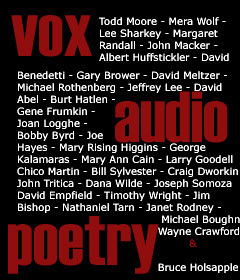 This may assume various shapes and, as such theorist of this family of the Art of Sounds as Derek Bailey once stated, doesn’t necessarily have to be experimental. In fact it actually isn’t in most occasions. Such is not the case with this violinist who’s also devoted to instruments such as viola and soprano saxophone and is now developing skills on India’s Sarangi. His approach depicts each improvisation as an experiment, an adventure ruled only by the casualty of circumstances and spontaneous creativity. Add to this the way his musical studies, (classical) formation and background and also his “audio memories” (Portuguese popular music, rock, both areas of former activity) melt with his musical taste and his aesthetic and expressive universes (which meet British and German schools of “New Improvised Music”) and you’ll be closer to his world. Ernesto Rodrigues assumes all radicality inherent to this openness to the “becoming” of improvised speech quite naturally, and leading to an obvious consequence: His music is atonal, polytonal, microtonal, and non-idiomatic. Little is any trace of free jazz and “chamberistic” classicism is but a far away reference. Yet, such queues are present since no breakthrough or innovation is obliged to cut off with all history(ies). In fact, Ernesto Rodrigues still applies Cage’s concepts as to the use of noise and silence, which is a direct consequence of the acceptance of the fact that neither of these are non-musical – an idea that still to this day is not unruffled, decades after John Cage’s formulation. 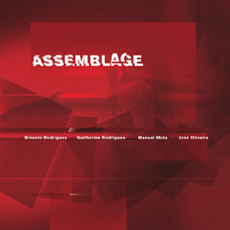 All of his production stands for this, from «IK*Zs(3)» with Carlos Bechegas on flutes and electronics, to «Assemblage» a CD with Manuel Mota on electric guitar. Exposures» with Marco Franco on soprano saxophone and «Ficta» (with excellent Argentinean pianist Gabriel Paiuk) is most clear and obvious mostly on acoustic contexts. 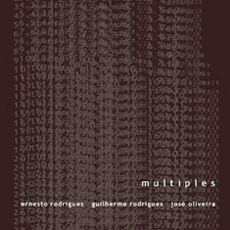 Interesting to notice is that Ernesto Rodrigues “bruitage” (to which – it is only fair to point out – percussionist José Oliveira contributes the most) co-exists with vast “spacings” and a sound production and progression at “near-silence” level, similar in some way to what you can listen to in Radu Malfatti, or Rhodri Davies, Mark Wastell and Burkhard Beins’ Sealed Knot. This is a Music shaped by restlessness and intensity, but at the same time holding such a delicacy, sense of detail and even mildness which read out as total paradox. Paradox is also present in the way Ernesto Rodrigues articulates an intuitive musical production – whose source is to be found only on the domain of “praxis” – with unmissable conceptualism. «Self Eater and Drinker»’s main idea is the autophagy of acoustic sounds by electronics. 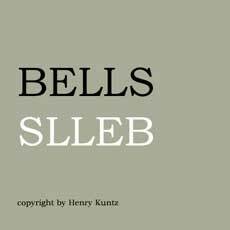 «Multiples» is a work of almost miniatures, inspired by Anton Webern, which understands every part as a metonymy of the all, in such a way that each next improvisation is but another aspect of what’s already been enunciated. «Sudden Music» celebrates the ephemeral character of music even when a static structure, which like olds everything under suspension, is present. 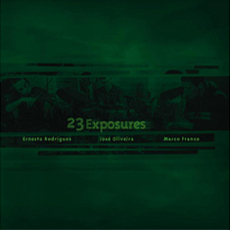 «23 Exposures» plays with the idea of exposing film to light: Depending on the degree of that exposure the revealed photo offers a greater or lesser image sharpness. 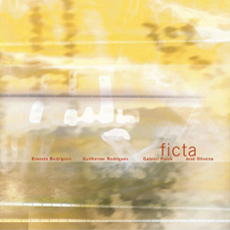 Extreme situations where all figuration becomes impossible is in fact what this work is all about. Peter Margasak |– I assume you started Creative Sources as a means for getting your own work out–is this true? How has the label grown and did you ever expect it to be so prolific? Ernesto Rodrigues | As a matter of fact, at start, CS label has been the only practical way to publish my own work. Naturally, through the net, an increasing interest was developed and I’ve concentrated all my efforts in order to help other musicians to publish their work. Time proved that the lack of a label like this, was greater than I expected. Peter Margasak | I have to admit that I’m not very familiar with improvisation and experimental music in Portugal–until coming across your label I only knew Rafael Toral and Nuno Canavarro. As someone who’s been playing for a long time, can you give a sense of the scene there and how it’s changed over the years? How has it become more involved in the international community of improvisation? Is there something distinctly Portuguese in your approach or other Portuguese artists who’ve done work for the label? Ernesto Rodrigues | Although experimental music exists since around 30 years in Portugal, I think it has expanded nowadays. There are more musicians interested in it and some of them with international reputation. Like in other European countries dynamic has changed, and musicians look forward to share new experiences. By the way, next February, I will be on tour with guitarist Manuel Mota through the U.S.. I think it’s difficult to conceive a distinct Portuguese approach in that sense because the socio-cultural relationship with the instruments is continually subverted all over… but is also true that I find, aesthetically some Mediterranean characteristics that one doesn’t find outside. There’s generally some feel of contemplation and lyricism. Ernesto Rodrigues | As you know, the essence of experimental music itself tries to go beyond the common notions of the mainstream. The internet in the last decade, has played an essential role in what concerns the edification of an international community. We are all part of it. Peter Margasak | Since I’ve only heard your work made over the last four years, can you tell me how your playing has changed over the years? What has guided or influenced you in your current approach? Ernesto Rodrigues | I started studying music when I was thirteen. My grandfather was a play writer and my father’s godfather was a maestro. I lived in the same house with them and they where a very important and strong influence in my childhood. Later, a friend of mine filled some forms for my admission at the Lisbon Conservatory, without my knowing, and I started my musical studies. (As there were no vacancies for violin I studied bassoon for one year). I live daily with experimental music since 30 years ago, and my nature expresses itself through what I do. There was of course an evolution in my playing, being clearly noticeable if one listens to “Multiples” (CS 001), which still has strong influences from the English school, and for example “Diafon” (CS 041). Nowadays I try to forget all technique I’ve learned as far as playing the violin is concerned, for all I’m interested in developing as my musical universe hasn’t got anything to do with what you learn in academies. My main interest shifted towards contemporary improvised and composed music. The relationship with my instruments is focused in sonic and textural elements. Electronic music was an early influence on my approach to violin playing, which challenges traditional romantic concepts of the violin/viola through use of preparations and micro tuning.Today there is a new musical reflection on what concerns experimentation. There is like a trend to make it autonomous and free it from any connotations and make it become a new musical sphere. Peter Margasak | CS is closely identified with the whole lowercase improv style–are you happy with this characterization or do you have an interest in representing and documenting a larger range of work? Ernesto Rodrigues | Yes, I don’t mind at all representing other approaches. 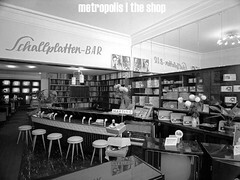 Myself, I used to be involved with several European improvisation schools (and CS has some examples of them). Naturally, my inner growing brought me to publish a genre that is connected with our days, a natural reaction to this disturbed era. Peter Margasak | How have you managed to finance such a large number of releases? Is the label self-sufficient?